As I prepare to leave Sydney in about a week to Europe, my Facebook feed is a deluge of posts of friends going overseas or a picture of an iconic American/European building/scenery/old bikini pictures with captions counting down about them going overseas. It seems as though half of Australia decides to flee to Europe or the USA around this time of the year, which is ironic, considering our mild winter compared to everywhere else around the world. 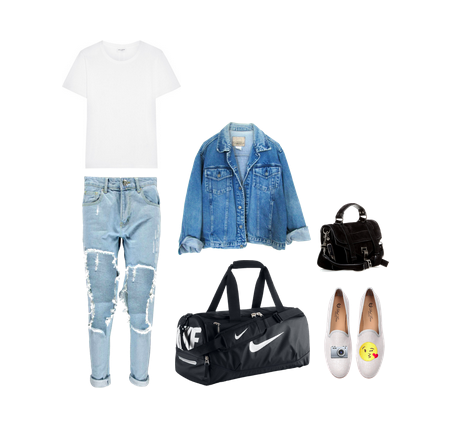 So being the opportunist that I am, I've decided to cash in on this trend with five most comfortable airport outfits to make that travel planning just a little bit easier for you lucky ducks who are leaving. P/S: European readers - hit me up! I'll be based in Paris mostly, but will be travelling to other parts of Europe as well. If you are around, we should grab a coffee or a baguette. Or both.